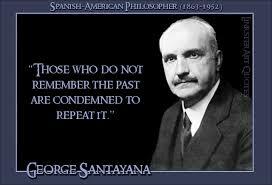 George Santayana once said, Those who do not learn from history are doomed to repeat it. Ah, if the inhabitants of Earth could learn just one thing, this would be a keeper. But we haven’t, and today, we as Americans are about to embark on the most frightening new world that I have seen in six decades. Watching our black and white TV to see if we were witnessing the end of planet Earth is a sobering experience. 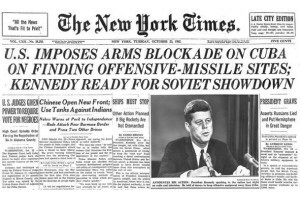 Cuban Missile Crisis: In 1962, the United States of America came to within a gnat’s hair of an all-out thermonuclear war. The Soviet Union had smuggled numerous ICBMs into Cuba which is only 90 miles from America. How it was…and how it still is. For what it’s worth, I have not been shy in mentioning in previous articles that yours truly did, indeed, spend years manning at one time or other, all 18 Titan II missile complexes surrounding Tucson, Arizona. And what were those Titans programmed to hit? The short answer was Moscow. But that would only take one missile. The rest were aimed at each of the major cities in the USSR, plus their missile pits, plus the Soviet oil fields…..essentially the same sort of scenario as the Russians did and continue to have pointed at us. For those with silver in their hair, this is not a big surprise. Today, the enemy du jour is ISIS. Only a handful of years ago, it was the Taliban. Remember them? But as horrific as they are and they are horrible, evil enemies, their clout, their ability to destroy America is only in the baby pool, compared to the Soviet Union as it stands today. Not that long ago, America was divided: Commie Sympathizers….and everyone else. Let’s pick the one which has probably raised an eyebrow even to some of the old-timers. 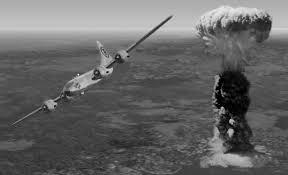 I’m referring to the Hiroshima and Nagasaki, where we Americans were the first to test out our fledgling atomic bombs…on people, specifically Japanese people. The front page story and party line was that this was to show Emperor Hirohito our capabilities and thus end the war. That was, indeed, a part of it, though if you dig a little deeper, you quickly learn that he was already setting up to surrender unconditionally. Sooo, what was the other reason, the big one hiding in the wings? 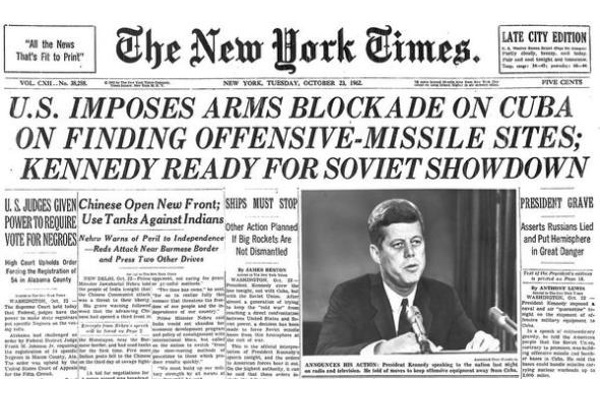 The main reason was quite simple: To show Joseph Stalin that it would be highly unwise to attack America. And it worked, but thus began the Cold War with the Soviet Union. And, to cut to the chase, if you think the Cold War was ever over, you’re sadly mistaken. The Cold War didn’t just take place on planet Earth, it took place in the space above us. The Race for Space. Who won the first round? I’ll give you a hint, it wasn’t us. A cosmonaut as opposed to an astronaut, by the name of Yuri Gagarin was the first person to orbit the planet. And the first satellite was a cute-sounding thing called Sputnik..
By the mid 80s, space had truly become a scary place. 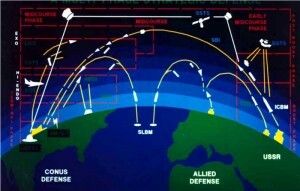 Ronald Reagan pushed hard to form the Star Wars Defense Initiative, (SDI), which was a multi-trillion dollar project with one goal and one goal only: to kill Soviet ICBMs streaking down on us from space, using ultra-secret LASER technology to kill them while they were still in space. Ever hear of secret project: Eighth Card? I didn’t think so. Nuclear Winter: As it turned out, the LASERs weren’t capable of doing the job, and we began to finally realize the concept of NUCLEAR WINTER. Loosely defined: We, as well as the Soviets, finally did the math and realized we didn’t even have to launch the rockets. 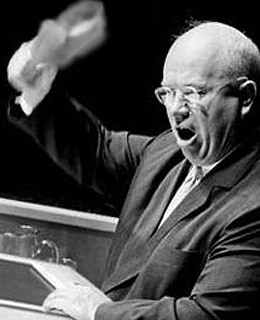 With the combined energy of the USSR’s and the US’s ICBMs we can shoot them anywhere or just blow them up in the silos. Our fragile planet is dead either way… That was just the 80’s. 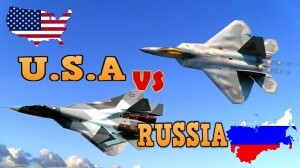 Do you think Vladimir Putin has eased the tension between Russia and America? Do you really? Time to do some homework. 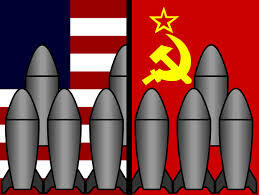 With these occurrences began a multi-trillion dollar competition between the USSR and the US. And it’s still rolling along. The jet fighters I flew in the 70s were designed for battle, primarily with the USSR, though we were eyeing China then as well…plus a couple other countries. Essentially every single weapon of war constructed after WWII was made with the thought of aiming it at the USSR. If, for the sake of younger generations, I was to make a metaphor of Star Wars, Darth Vader would have been Stalin, Krushchev, Brezhnev, Gorbachev….and now beloved Vladimir Putin. To make a further comparison, Russia has always been known for its prowess in playing chess, both the game, and the politic. Vladimir Putin is playing a very easy game of chess against an opponent highly adept at playing checkers. To have Russia, and Vladimir Putin specifically, attempting to sway the election scares the bejeezus out of me…as it should you. Do you, for a second, think that he is doing it to make the US, his #1 enemy, stronger? ….Are you kidding? 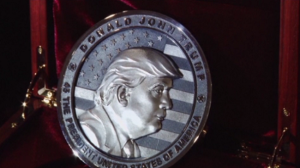 Just yesterday, I saw the commemorative coin that Putin directed to be cast, of our new president of the United States. Printed on it is “In Trump We Trust,” where he has replaced the sacred word of God with Trump. Does anyone find that disconcerting, or perhaps…alarming? If this were an old Looney Tunes cartoon, we would see a field of sheep on one side of the screen and a forest full of wolves on the other. In center screen one wolf has brought a bouquet of flowers to one of the sheep. Do you think the wolf loves the sheep…or is he just hungry? God Bless America. May God help us. 10 Responses to "Our “Friends” the Russians"
I’ve never been so scared as I am today. I’m afraid for my friends and relatives still in the military today. You are not alone, Pam. I’m hearing the same thoughts from all over the place. And Wade and I are on the same track as well. All through life, I’ve had a line from a song (by the Association) that’s always stuck in my mind. “It’s not the bridges burned that bother me but the ones that I’ve never crossed.” Do what you’re gonna do. That’s why we’re down here now and it’s been 100000% the right decision for us. You are in good company, Chris. I’m deeply concerned with Russia’s sniffing around us as if we’re a wounded animal it might devour. And I’m amazed at how short America’s memory is. Throughout history, The USSR has been our absolute enemy…and nothing has changed. We all need to remember. ‘ Just some personal observations in regard to what you just wrote: I literally wouldn’t exist if not for the pain and suffering inflicted by the events of World War I. I probably wouldn’t exist if not for the events of World War II. The country however would do just fine without my existence. Many of the scared and angry people that brought about the present events not only don’t know history generally, but don’t even realize that nothing erodes & destroys military power more than continually using it. 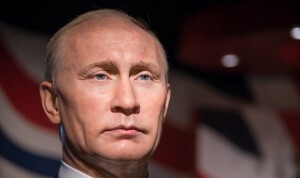 Vladimir Putin was molded by the events of the Cold War and the events of World War II. He was much involved in events destabilizing East Germany and other satellite states during the Cold War. Putin’s mother was Stalin’s cook at his dacha, and the young Putin saw Stalin as a father figure. Both Stalin and Hitler were badly abused by their fathers. Besides psychological damage: Stalin was left with permanent physical impairment, and Hitler ended up in the hospital in a coma for some time (probably resulting in brain damage). So, history is important. The pictures of the fighter jets reminded of the history lesson we seem to have forgotten about not questioning the wisdom of the both the military and political leaders of the military. The fighter jets ordered tended to be models that fascinated the leadership, sometimes at the expense of what the forces actually needed.While considered an attack plane, the A10 is an example of a jet that’s been invaluable to actual forces using it. The leadership always hated it, and don’t plan to even provide parts for it anymore. It can survive a lot of damage (and protect the pilot). It can spend a lot of time in the air close to the people its supposed to protect at all sorts of air speeds. I can personally attest to scariness of the thing. I once worked at Bradlee’s department store in Montgomeryville. That used to be in the final approach for the Cessnas and Pipers landing at Montgomeryville Airport. It was almost always a crosswind landing full of planes trying to clear obstructions while crabbing to stay lined up, so it was habit to look up long after the airport closed. I began notice these jets from Willow Grove lining up with Route 309 at very low altitude. The engines had a menacing growl, and they could fly at very low speed for a jet. I realized that they were practicing acquiring targets, and the cars and trucks didn’t know what could have happened had the jets taken the next step. I later discovered these were A10’s. While the reason for building these things was for the purpose of supporting ground forces in the unlikely scenario of European nuclear ground war somehow not escalating out of control, they actually got used in the way aging World War II prop fighters were used in Vietnam. I guess my point is that not knowing history is pervasive, and even perversely considered a contaminant to clear thinking by ideologues in authority. For example in the 1972 presidential election – – it is worth noting that it was not Nixon but McGovern that had been in combat. First off, thank you for your insightful and well-crafted response, as well as your “take” on learning…and not learning from history. Though I didn’t mention it in this article, (there are constrictions) your mentioning the psychological effects that early childhood has upon, despots, world leaders, presidents (as well as your garden-variety poor schmuck). The patterns for despots come into clarity instantaneously. Decades ago, in college, I joked that we might not have had a HITLER, if he’d “gotten some” as a kid and perhaps been a better painter. Stalin, Putin, Napoleon, Hitler, Kim Jong Il, Musolini, are just a handful of leaders with disturbing psychological problems…which they absolutely had to overcompensate for. The Napoleon Syndrome is actually a psychological term. And your observation about our military toys is, unfortunately, right on the mark. The B-58 Hustler was a beautiful super-bomber, that went directly from the drafting table to the “boneyard” at Davis Monthan AFB. The X-B-70 Valkeryie, another beauty that was never used… as opposed to the BUFF (nickname Big Ugly Flying Fucker) for the A-10, a beautifully engineered plane built around a tank cannon (Great plane!) as well as the antique B-52 which is older than I am and still in service. 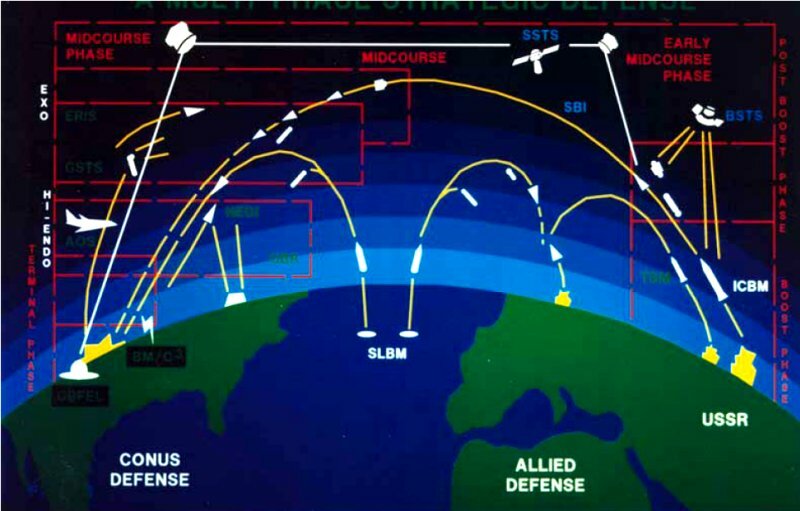 SDI was another huge ego-trip mistake based on the profound hope that the Russians would never put a bit of lateral spin on their rockets. Our lasers did a fantastic job…but only if the rocket didn’t turn on its axis in orbit. Anyway, thanks much for your input, Scott! Hope you write again and share your knowledge with our readers. I wear a cap today that honors the BB-62 to honor my 12 cousins and uncles who served in WWII. All came home…several with Purple Hearts several with Bronze stars plus, several with what is now called PTSD. When I thanked the few remaining ones, their common answer was “we did what we had to.”. We have enjoyed that freedom until today. 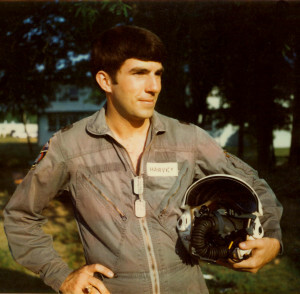 I have worked for the Navy who put me through Penn State engineering and I made a lifetime career as my way of serving. I’ve been deployed at sea aboard 3 carriers and one guided missile cruiser plus I worked on several carriers in port. I’ve worked for years in a naval intelligence unit as a scientific advisor with compartmented clearances. I’ve done everything from improving carrier aircraft readiness, fuel efficiency to very advanced R/D installations on hundreds of aircraft to test new advanced systems to assure the aircraft modifications were safe to fly. Over the years, I was asked by friends what it is I do. I would simple answer that I hunt and kill submarines. The only real threat, and it was a big one, was the soviet subs……period. Trump campaigned and won on vicious lies and abusive awful statements against war heroes, Gold Star families, women, the disabled and the media. At age 70, I don’t expect this leopard to change its spots nor do I expect Putin to change his KGB ways either….he’s still our enemy. Just read how the first thing a tyrant works is to kill the press. Look at trump’s attempt to undermine ours. Nixon tried but the free press and the 1st Amendment won out. Trump has already mentioned his next 8 years in office……excuse me !!! His sociopathic ego will not be satisfied until he declares himself emperor of the world….like Idi Amin!…..WTF!!! I have not said all of this to build my own stature but to mourn the fact that all I did, in my own small way (as you did my friend and for which I’m grateful) to assure a free and democratic society is being erased. I now worry that in my few short years left on this planet, it will have all been for naught. My one really great sign of hope was the Women’s March on Saturday seen around the world. Maybe, in the finally words from the book,”On the Beach”, “There is still time brother!”. PS: the A-10 is Awesome. With your permission, I will essentially place your entire response to the article…..with just a Phil at the end. Boy, I’d forgotten about ole Idi. 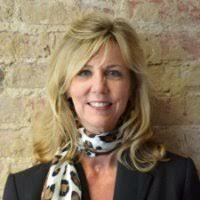 Another sociopathic whack-job. Don’t know if you saw Dan Rather’s words on Trump. If you haven’t, I’ll send them or you can You Tube them. Loved the A-10. It just made, and continues to make sense. And loved watching the U-2s at Davis Monthan in training. I’d walk over to the runway at the exact point where they’d rotate. 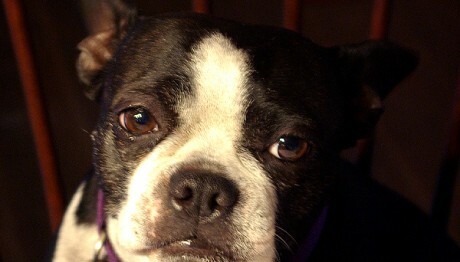 They’d point that little black nose straight up and disappear in about 30 seconds…up.